On the 21st August 2017, Sekolah Gunung Merapi opened its doors for a new term of dynamic learning experiences and activities. As the first week comes to a close, we talk about what’s new. This term we’ve got five classes teaching students from Grade 2 primary/elementary level, right up to grade 13 high school with a total of 35 students; 30 of which are continuing students from previous terms and six are brand new! We wish them all the best of luck on their journey to English fluency. Since opening our doors to young learners last year, we’ve witnessed repeated issues with basic literacy skills across the board. 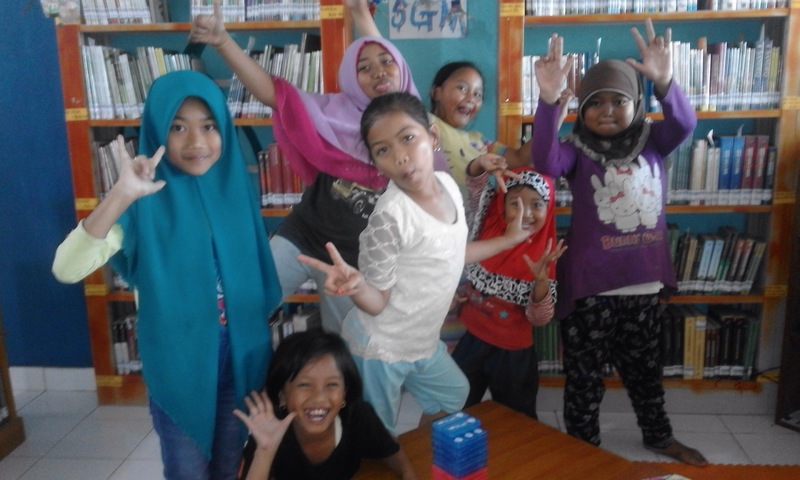 In response to this, this term we’ve decided to extend our learning sessions to 1.5hours (so 3 hours a week), to give extra time to work on literacy skills in bahasa Indonesia, and extra support to encourage our young learners to engage in regular reading in the library. So far this term we’ve seen a big boom in our classes for mature students. New this term are our “Ngopi&Sharing” events being held on Monday and Thursday evenings which offer practise and support in English and IT skills, in a relaxed and social setting. This week we’ve had nearly 30 mature students take part and are set to have more next week! Abi and Endah, the amazing travelling dance teachers are back again at Sekolah Gunung Merapi to bring the transformative power of the performing arts to our students. So far we’ve had nearly 15 students sign up to continue their dance education, with one group set to perform on Monday night, as part a village dance show being held to honour the 72nd anniversary of Indonesian independence. Can’t wait! Since last term, our team of amazing volunteers have been working hard to move our library borrowing system into electronic form, and we’re happy to announce that we are approaching ready to go online! Having a computer based borrowing system will make up better equipped to monitor the individual borrowing records of all our students, introduce competitions and prizes to encourage, and develop regular reading with our younger students. Once it can be fitted with some new hardware and accessories, we should at last be able to offer permanent public IT facilities for the local community. Being so isolated, the nearest Internet cafes and large printing facilities are over half an hours drive away, so being able to offer permanent, free to use public IT facilities will have an amazing impact for students needing to word process assignments, and to give opportunities to begin introducing our young learners to basic IT skills. Looks like it’s going to be a great term, can’t wait for next week!